While looking through old documents, it is almost inevitable that the reader's attention will be drawn from the intended target to other articles. The report below was found in an old Glasgow Herald newspaper. Although it has no football content, it may be of interest. 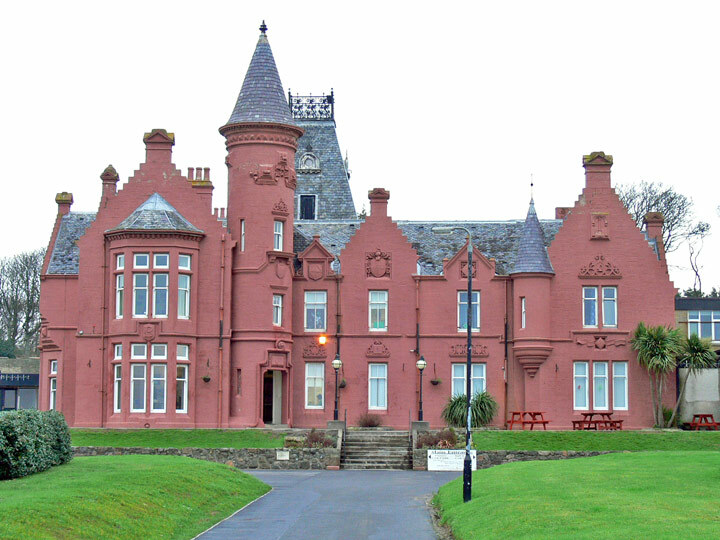 Six boys, aged between eight and ten years, were suffocated yesterday morning when fire broke out in the dormitory at Seafield Towers, Ardrossan, a two-storey house used by Glasgow Corporation for convalescent schoolchildren (and shown below around 1890 and 2008). The boys, all from Glasgow were George Reid, 70 Wemyss Street; George Lees, 610 Dobbie’s Loan; Gordon Simpson, 29 Poplin Street, Bridgeton; John Ramsay, 100 North Inch Street; Billy Gunn, 83 Todd Street and Peter Lewis, 20 Maclellan Street. The fire was discovered by Mr Henry Ramsay, the headmaster, who was awakened by smoke coming from the first-floor dormitory in the north-east wing of the building. Members of the staff and Ardrossan Fire Brigade helped to get the boys out of the room and Mr Robert Parry, one of the teachers, was almost overcome by smoke. Efforts to revive the boys by artificial respiration were unsuccessful. Some of the other forty-nine other children in the building escaped from second-floor rooms by ladders but the outbreak was confined to the room in which the dead boys had been sleeping. 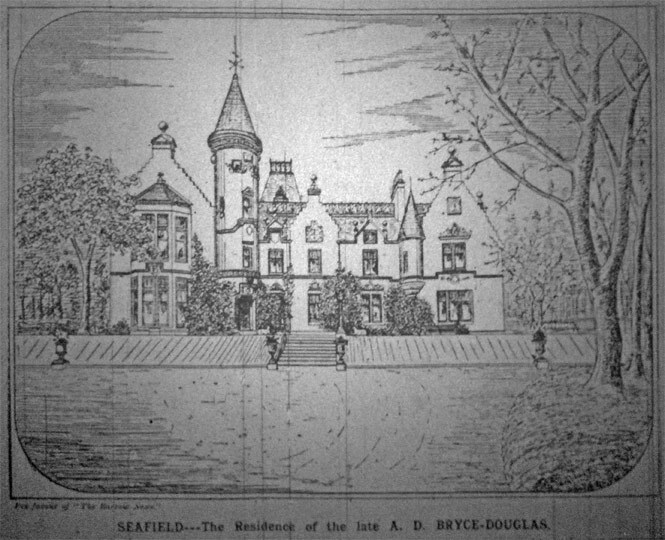 Seafield Towers was used for military purposes during the second world war and was afterwards acquired by Glasgow Corporation. The Provost of Saltcoats, Mr T M Gourlay and the Provost of Ardrossan, Mr John Beggs, have sent telegrams to the education department offices in Glasgow, expressing sympathy for the parents and other relatives of the boys who lost their lives. Councillor E J Donaldson, convenor of the education committee, expressed yesterday “his very great distress at the tragic happening”.